Rabbit Ears pass is divided into motorized and non-motorized locations of trail use. Motorized users are restricted to the east side of the pass, which is a little flatter and heads towards muddy lake. The west side is steeper and is restricted to only non-motorized users during the winter months. This is an easy drive from the town of steamboat, and is about 2 hours from the denver area. The views are fantastic, and it is a great spot to go enjoy some snowmobiling, backcountry skiing, or snowshoeing. 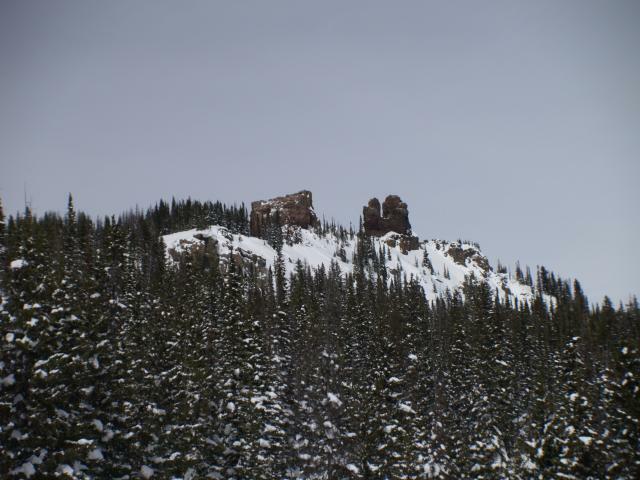 Rabbit Ears Pass is located about 2.5 hours from Denver, north on highway 40. The top of the pass is about 20 minutes from the town of Steamboat Springs. Highway 40 is the road that goes over Rabbit Ears Pass, and there are a number of turnoffs for recreational users. Camping is limited in the winter in this area. Head down to steamboat for grub. Your next best option would be going to frasier, grand lake, or granby to get something to eat. The access is restricted to non-motorized users on the west side, and motorized users have access to the east side only.